I've totally fallen in love. Again. It's the Cuisinart 12-Cup Thermal Coffee Maker. And it made its way to OUR office! Actually, it's been here for three weeks but I haven't had occasion to write about it yet. I know, I know... we should not ignore the ones we love. This coffeemaker model features a carafe that is made of brushed stainless steel and accented in black. The Brew and Serve™ Coffee Maker brews coffee directly into the carafe by using Cuisinart's patented Brew-through lid. Serving coffee is just as easy: the lid also dispenses the brew without ever having to twist or turn the carafe lid. The carafe is so efficient that it keeps coffee hot for 12 hours and warm for 8. It preserves that great coffee flavor from the moment you brew it. Totally programmable, this coffeemaker can be started any time during a 24-hour cycle. And let me tell you, this thing is the cat's meow. Seriously, you can drink coffee brewed at 9 am during your 3pm break and still burn your tongue on it. Not that a pot's ever lasted that long around here. If there was a downside, it's that you really have no idea how old the coffee is. But it's irrelevant because it's always delish. The Cuisinart 12-Cup Thermal Coffee maker now sits at the end of the hall, gaily singing its unmistakeable song every couple hours or so during our workday and beckoning us to come-hither and partake of its browny liquid gold. The everyday, ordinary, $30 Braun drip coffee maker (which I have and use extensively in my at-home life). 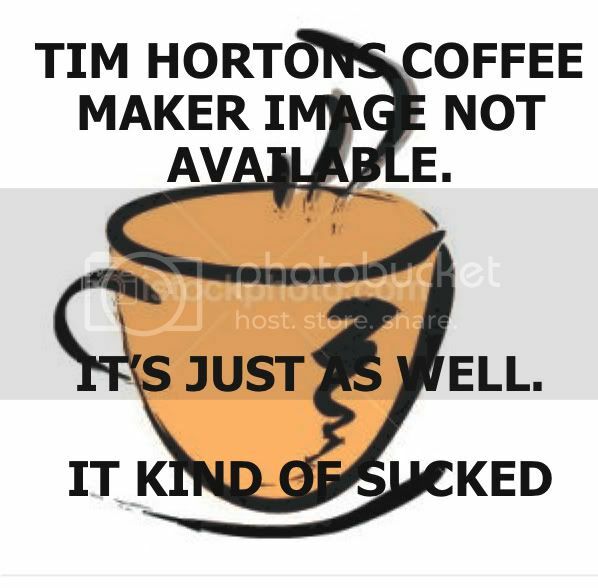 The former really didn't make a very good pot of coffee, and the latter...well, I think the latter was retired due to a cracked carafe and mediocre coffee. As a result of this tremendous gift to sleepy employees, there's always coffee in the office. Also, there's a line at the bathroom. Just kidding about that last part. Coffee-gut be damned! Thank god the boss has both a love for the fine-quality gadgetry, and a great cup of coffee. Now, if only I could get the officemates to bring some coffee cream in every now and then, we'd be set around here. This post about coffee is a result of blogspiration from Jason, who probably thinks he's the only one who can stupidly go on and on about coffee. Oh man...now I have to get a cup. We have the kind at work that allows you to choose the little cup of your desired flavor, put it in without even UNWRAPPING it, and push the green button. Seconds later, your own, customized cup of coffee. Brilliance. See! Pointless minutia is what blogs are for! Best coffee I have ever had was at the Epicure Cafe on Queen Street West in Toronto. I still measure any cup of coffee I get or (more importantly) make against their dark rich brew. Wow...now I have coffee maker envy. Sigh. The difference about your posting and Sweeney's posting is that you make me want a cup of coffee. I am experiencing coffee envy!